Fitbit and Google announced a partnership that would enable two companies to better integrate digital health and wearables for both companies. You would think that Fitbit and Google make natural allies, but until now the two companies kept their distance. 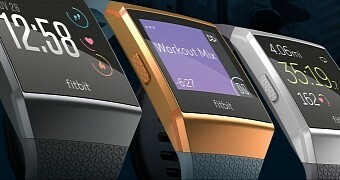 Fitbit preferred to build their own operating system, which in turn made it difficult to integrate with other services from Google, like Fit for example. While the new partnership is somewhat specific to the integration of Google’s new Cloud Healthcare API, we can only hope that it will open a window for further projects together. Google offers many more services, and Fitbit should make use of them. “To accelerate these efforts, Fitbit will move to the Google Cloud Platform to innovate and advance its products and services. Google Cloud provides Fitbit with next-generation cloud services and engineering support, allowing Fitbit to scale faster. Google Cloud is also committed to meeting the requirements for security and privacy in the healthcare industry, with the majority of Google Cloud products supporting HIPAA compliance, including Cloud IoT Core,” reads the official announcement. There is also an underlying message in this announcement. Even if the collaboration is limited, at least for now, Fitbit is trying to consolidate its position in a market that dominated more and more by Apple. Proof that Fitbit made the right choice is the bump in the stock market for the company that saw an increase of 10 points, and that’s not something to ignore. We’ll have to wait and see if the collaboration will turn into something more productive.